Do you need a specific part for your Hyundai model? Our Jackson Hyundai dealership near Brandon has made it easy to acquire all the quality auto parts you need to complete repairs on your Hyundai from the comfort of your own home. Our main goal is to make sure our customers get exactly what they need at their convenience, and this includes pieces for the do-it-yourself-ers. We look forward to receiving genuine Original Equipment Manufacturer items so we can help you fix up your trusted Hyundai model. Our parts department features a wide selection of genuine OEM auto parts and accessories, so you’re sure to find the part you’re looking for. In the event that we do not currently have in stock the item you are looking for, you can simply use our secure online form to place an order today! Your request will be sent to our parts department and will be carefully reviewed and fulfilled in a timely manner. For the times when replacing a part is too much to do at home, we invite our Jackson and Brandon area customers to bring in their vehicle for Hyundai service at our service center. Our talented technicians on staff are familiar with the entire Hyundai lineup and the parts and accessories we carry, so we can assist you whether you choose to do the work yourself or at our dealership. We also carry a wide range of parts specials so that repairing your Hyundai doesn’t always have to be an expensive ordeal. 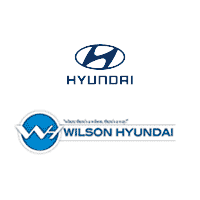 For more information on our parts center, contact us at Wilson Hyundai! Our team is here to assist you when you need them.